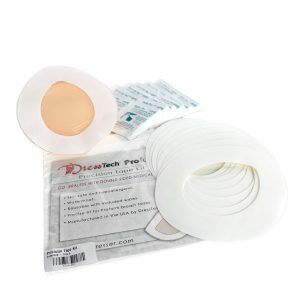 These premium silicone breast forms have a natural shape, realistic detail and versatile accessories. This asymmetric-triangular design fits nicely into most pocketed bras and extended wings improve blending with the male torso, so they’re perfect for members of the crossdressing and transgender communities. Choose the Natural Shape for a very natural and droop. For a fuller and more rounded bust, check out the Enhanced shape.